Pauri Platoons had their date with history as they clinched a maiden appearance in the final of the prestigious Uttarakhand Super League football tournament. The team is jointly owned by Dehradun Football Academy and Mr. Rahul Dhar. 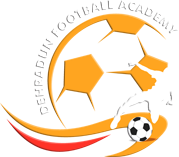 All the training and support is being provided by the coach and staff of Dehradun Football Academy. Though it was dangerous to select Desi Players in this team, as we already mentioned everywhere that the aim of Dehradun Football Academy is to promote Indian boys and girls to the professional level football so we decided to select emerging players from various states of India. We are feeling proud today that with our all our desi boys team enter in Uttarakhand Super League Final. Please have a look at the special story covered by INEXT (Dainik Jagran) published today.